Whether you’re a single self-service laundry, or a chain of corporate-owned facilities, chances are good that you’re concerned with rising utility costs eating into your bottom line. 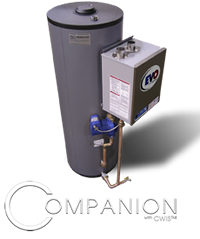 Hamilton Engineering has 25 years of self-service laundry experience, and can quickly and accurately size a water heating system with an efficiency that meets your budget, using our proprietary CompSize program. 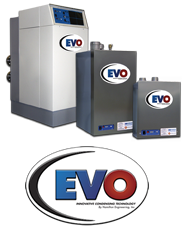 A properly sized system will lower your monthly gas bill, increase your profits, and alleviate potential problems associated with over-sizing and short cycling, as well as under-sizing and running out of hot water. 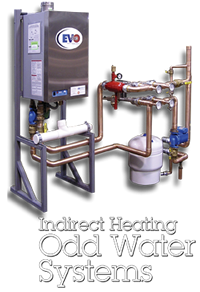 Hot water supply systems in facilities such as hotels, nursing homes and restaurants are rarely sized appropriately, and they frequently do not have the capacity to provide sufficient hot water to an on premise laundry system. 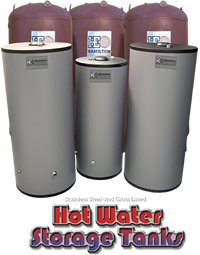 Hamilton has the capabilities to analyze the hot water needs of your entire property. 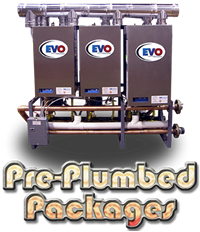 In doing so, they can determine if the necessary capacity exists, or if modifications can be made to upgrade your current system to accommodate your needs. As always, if the need should arise, Hamilton would be happy to design a specific system for your facility. Operating a Shirt Laundry as part of your Dry Cleaning facility can add greater profits, but it will require hot water and that can be a frustrating experience if not done properly. 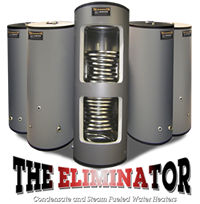 Hamilton’s “Eliminator” can provide all of the hot water you need with none of the frustration.